We started looking in Tuscany (as all Americans do) but the prices are just too high. We wanted it all, a Seaview, a mountain view, a nice place with modern conveniences, a real Italian city void of tourists and the right price. Impossible right? Well we got it all and at our budget. We saw a place that was in a newly constructed building (a rarity in Italy) and it had fantastic mountain and a Seaview. It was a few kilometers from the beach. When we saw the price we thought it must be a time share but it was to purchase. It is a building with 4 units per floor and two main floors. There was a penthouse occupied by one of the owners children and two more units in the basement opening out onto the yard. We actually put a non refundable down-payment on it without seeing it in person. We walked the city it is in on Google Earth and the beach towns near by but never went to see it first hand. Finally iin May of 2013 we were on the Amalfi coast on our honeymoon and met the realtor and made the 1.5 hour trip south to the small town of Velina. We saw it for the first time. It is VERY small but the views are to die for. No kitchen or closets which are normal in Europe. We loved it. Over the next 6 months we had a kitchen installed, a bed and a table with chairs. We then went to stay in our place for the first time over Thanksgiving. We bought a love seat and wo chairs which can be used inside or taken out on to our deck to enjoy the views. Having wine and cheese out on the deck was what it was all about. We couldn’t wait to explore the area. We had to get closing money from dollars to Euros and from our American bank account to an Italian one. At closing you need the equivalent here of a certified check (actually two – one to the people you are buying from and one to the person doing the closing and covering taxes etc.). This was quite a chore! First, as I have said in this BLOG, exchange rates were high when we bought. Banks tack on 4-10% extra on a transaction. If you are getting $1,000 to $2,000 for vacation it is bad but too bad. If you are moving $100,000 plus it really hurts. I investigated how to get around this. I found a company in the UK that lets you wire dollars to them (no bank fees at this end) and buys Euros for you. They deal in billions of Euros so they give you the World Bank Rates (no extra fees added on) for large sums of money. We did not yet have an Italian bank account because our country requires foreign banks to only open accounts for Americans if they are present. The UK firm held the money and we departed on our honeymoon to Italy. We were scheduled to open an Italian bank account in Positano the second week of our trip. Then I would text the account number to the UK and our money (in Euros now) would be transferred. After meeting with the bank manager in Positano, he informed us that we can not open an account at his branch because we did not live in Positano. He suggested going to the branch near our new home in Agropoli (1.5 hours away). We were scheduled to go and see the new place on that Wednesday but closing was Saturday in Rome. Not much time for error. 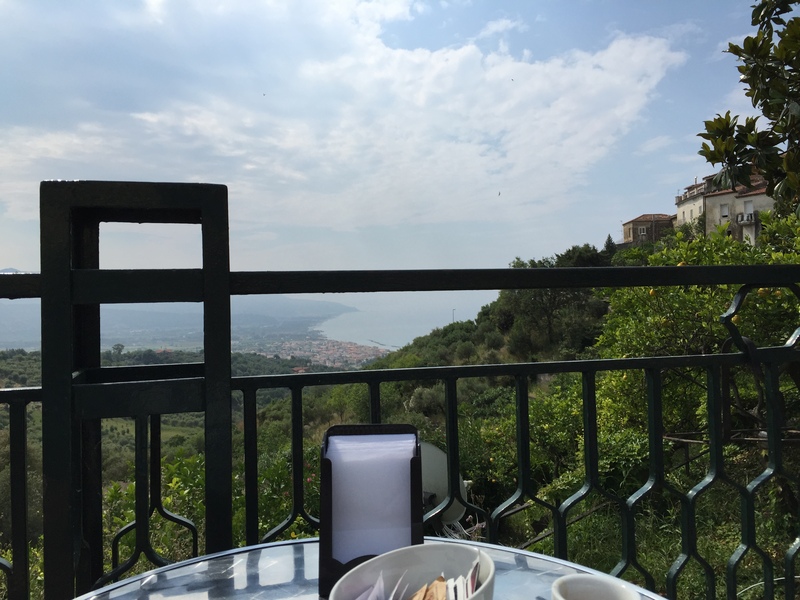 We went to Agropoli and had no problems opening an account. I wired the UK the account number and they transferred the money instantly. The catch is Italian banks don’t always deposit wired monies instantly. Thursday came and no money yet. Friday showed our money. So we did it with no room for error. Now we had to go back to the branch in Positano (where we were staying) to the manager that had rejected us and get the required certified checks. To our amazement he did it quickly and with no problems. The next day Saturday we drove to Rome (about 3.5 hours). We checked into a hotel for one night (we had a morning flight back to the states on Sunday). At closing we met the owner and his family and the man doing the closing. Our realtor was our translator. All documents were in both Italian and English. The family we bought from was Gina Lollobrigida’s family (her cousin). The closing went well. We were asked questions and owner stipulated our parking spot and the fact that we could use the common property. Everything was written in the official document describing the property. Monies were paid and we were given a set of keys. After closing we all went to a bar for a coffee. È normale! The saddest thing for us was getting on a plane back to the States with a set of keys to an Italian house we had never used. There is no kitchen or furniture in our new place. It would be like camping out with a bathroom to stay like this (Jo is not a camper – She has always told be camping is staying in a Hilton with only one bathroom). So we look for a kitchen. Kitchens come in modular form with cabinets, sink, refrigerator, stove and cook top. You can also get a dish washer at the expense of cabinets. We decide on not getting a dishwasher. We did not like the kitchens in the other units of our place. Our condo manager (the owner’s daughter) helps us remotely. We look at kitchen places in Rome but delivery is way too expensive. Maria manages to find a wood cabinet (dark stain) kitchen with everything we want. She negotiates a kitchen with a table and 6 chairs for the price of the kitchen. We then decide to get a bed (mattress and frame – Italians do not use a box spring) from the same place. They come and install the kitchen and setup our bed. We are not ready to come back to Velina without camping out. We find online that our Home Land Security requires a form documenting any foreign deposits over $50,000. If your account had $50,000 or more, even for a day, you must declare it. This is NOT an IRS form. So I download the form and fill it out. The fines are huge if you are caught without doing this. We are now ready for our Thanksgiving in Velina Italy. As we get familiar with our town, we keep staring at the views all around us. We look like tourists that have never seen a beach or mountains. The views are so spectacular here. The weather is tropical and always great. Some mornings we wake to see snow on the mountains around us. We are interested in buying some furniture to sit on in our unit. We want some that can be taken out on the deck as well as be inside. There are many furniture stores around us (called Mobili in Italian which literally means furnishings). We find a store with very interesting furniture next to our supermercato. It is closed but we window shop and make a note to return after 4 pm when everything reopens. This store has everything. In Italy they don’t like to turn the heat on in the winter. The manager of the store greets us (Buon Giorno) with a heavy coat on. It is actually much colder inside these thick walls than outside where it is mild. We look at bedroom sets as well but decide to buy these at a later time. We do find a wicker set that has two chairs, a table and a love seat. It’s a perfect size for our small apartment. I ask the man if they take credit cards (carte di credito). But he says only cash (solo contanti). We have an Italian ATM card for our Italian Bank Account and we know there is an ATM in town. He loads the furniture onto his truck without any payment and follows us into town. We stop to get the cash and he continues to follow us up the hill to our place. He unloads all the furniture and carries it up to our unit refuting any help. He waits for us to arrange it and sit on it and smile. He then accepts the payment. Why are we so shocked when people act so kind? After taking all the wrappings off the pillows and seat cushions, we arrange the furniture about 5 times. It fits perfect and looks great. It provides us with ample seating inside to relax and when we take it outside we can have some wine and cheese while we take in the views. This is Italy! Life moves at a slower more enjoyable rate. We can feel the tensions drain off after a few days. We are Italians while we are here. We shop only for today and maybe tomorrow morning. We buy only what is grown or made fresh. Italians take a lot of pride in their food and will only buy what is made in Italy. This very small place seems adequate and almost spacious as we settle into Italian life. Life is good. The furniture is portable so we can move it out onto our deck to enjoy the views. Today we will look at the small mountain town. It’s in the province of Salerno, region of Campania. It is in the Client National Park. It has a population of only 5,000. Small roads lead up to this town. In the center is an old church a few bars and restaurants. 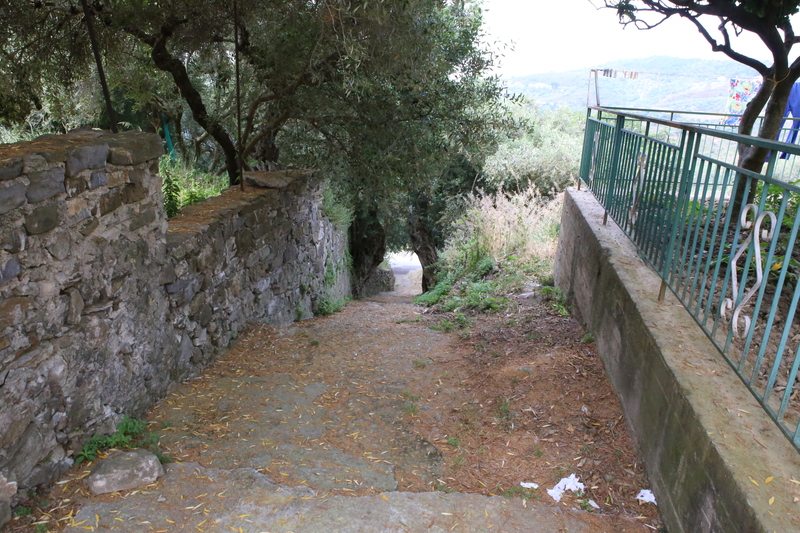 Stairways lead up the mountain side almost hidden. They take you past the homes of Casel Velino. The people are friendly and the homes are very old. In the center is a bar where you can eat outside with a million dollar view of the sea and beaches of Casel Velino Marina below. Have a coffee and sweet roll and then start your trek up the stairs. One of the areas most expensive restaurants is here, Locanda le Tre Sorrelle (three sisters). It is a restaurant and hotel with a beautiful pool. 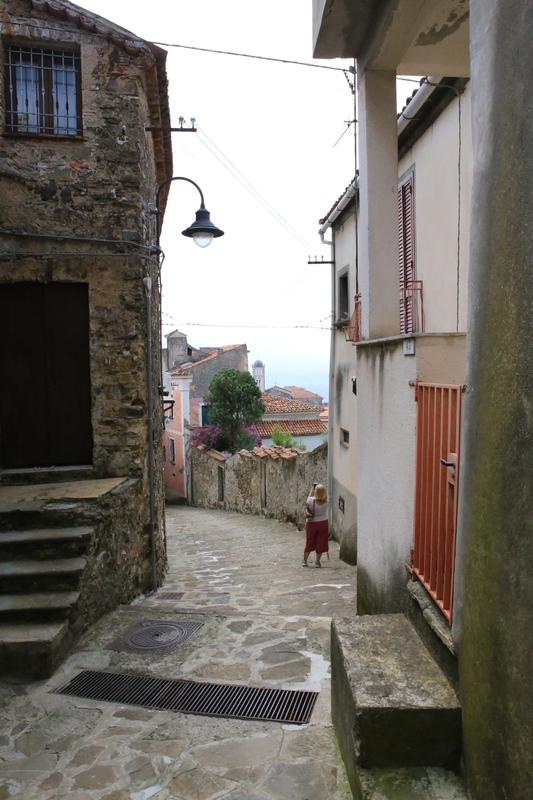 Casal Velino is small and life is slow here. Come and enter this world, be part of it. Enjoy! We have posted this before but so many people ask about buying in Europe that We are reposting it. It has recently occurred to us that we may be a bit crazy. 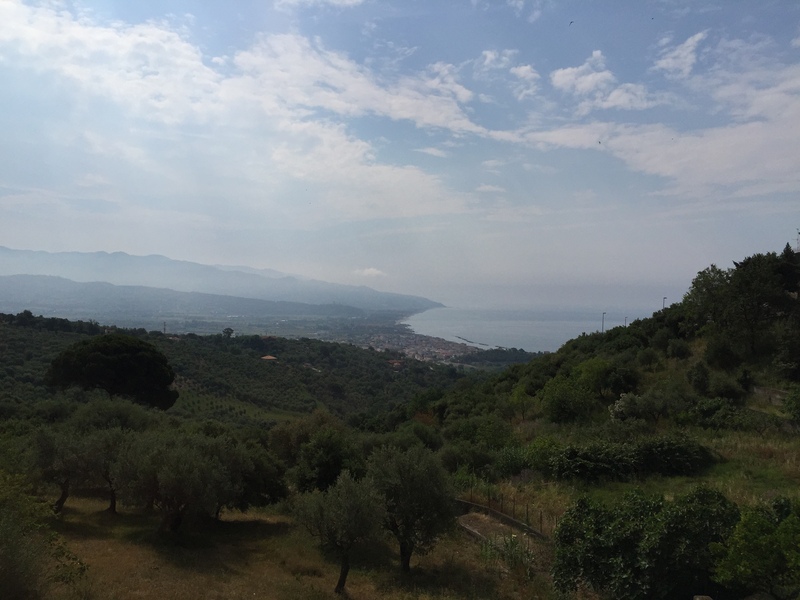 After all, We don’t personally know anyone who has purchased a home or condo in Italy, sight unseen and several hours from any major airport in parts unheard of in Southern Campania. Yup, we did that . . .and we weren’t on a lot of wine. It all began with innocent web browsing of rental villas, which led to innocent web browsing of villas for sale which led to the “find”, which led to our decision to pursue until we hit a road-block. No, we were not currently “on the market” to buy an Italian villa, apartment or piccola villa when this began. We were simply looking for some villas to rent while in Italy. We have always had a latent interest in real estate; you could say our hobby was browsing properties anywhere that may currently intrigue us in the interest of understanding what you can get for your money. This hobby turned international as we traveled to Italy (first time for Jo Anne) over New Years in 2011/2012 and fell completely in love with Roma, Pompeii and Orvieto and continued as we planned our honeymoon in Southern Italy to Capri, Sorrento and Positano. One day, as we were reviewing options for rental villas, we thought ” We wonder how much it would cost to buy these villas?” It never occurred to us that we could or would actually buy one, this was just pure curiosity. 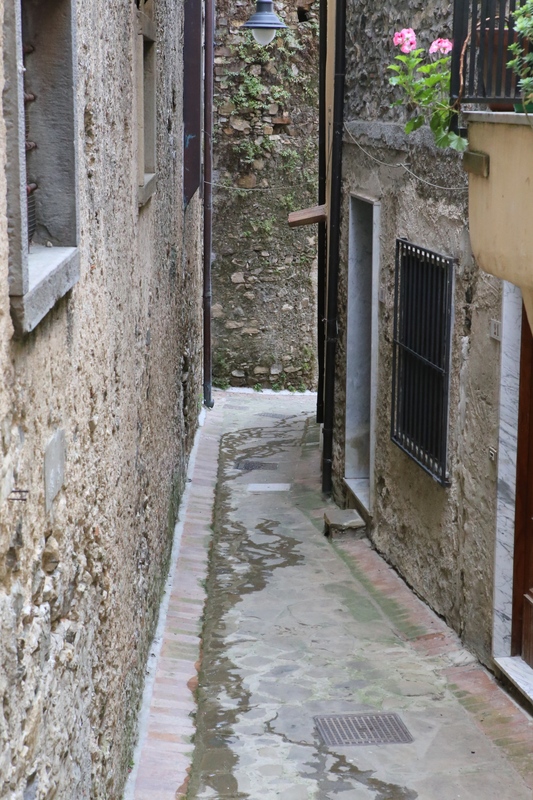 Initially, We located some properties that Americanos would call “fixers” in the region of Abruzzo. The Italians would refer to such properties as “storico” or “historic” and the properties would basically be noted as in need of full renovation, BUT, one could purchase a free-standing small house with a beautiful view in this condition in this beautiful but somewhat isolated area for as little as $35,000 to $50,000 euros. Wow, our minds took quite a detour thinking of all the possibilities and how romantic that would be. 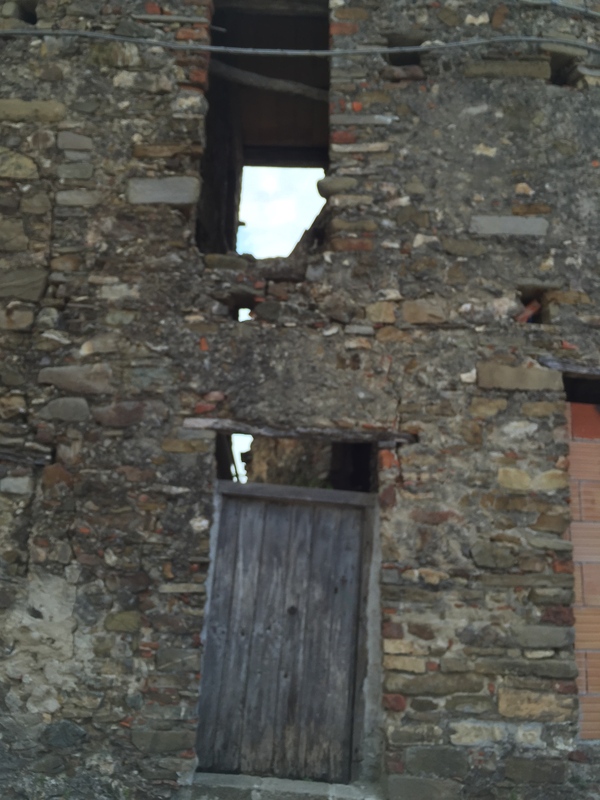 This incredible find encouraged us to continue exploring options all over Italy. 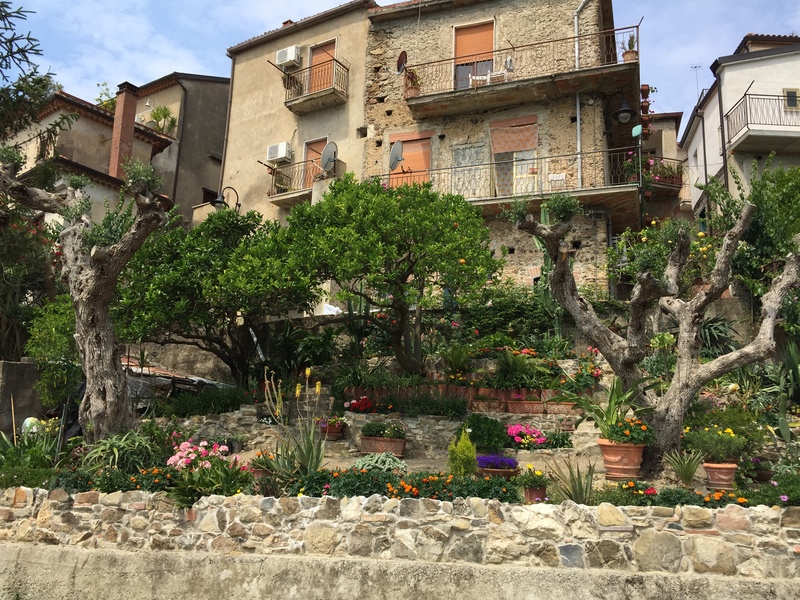 We found something in a city called Agropoli (which neither of us had ever heard of) with a beautiful crescent-shaped view of a curved bay along the Mediterranean ($165,000 euros) and no mention of renovations needed. Now, We was really hooked. 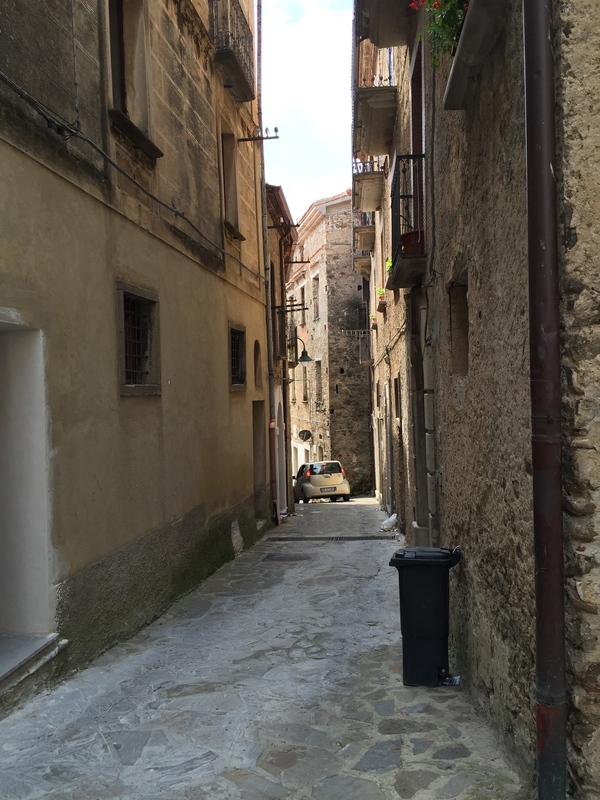 As our searching continued, we located a stunning NEW property in an area called Casal Velino, that was beautiful. Although we had no intent of buying a property in Italia, when we saw the price, we could not stop ourselves from inquiring with the realtor about it – surely at this price, it must be a time-share property, we thought, not even knowing if that concept existed in Italy. 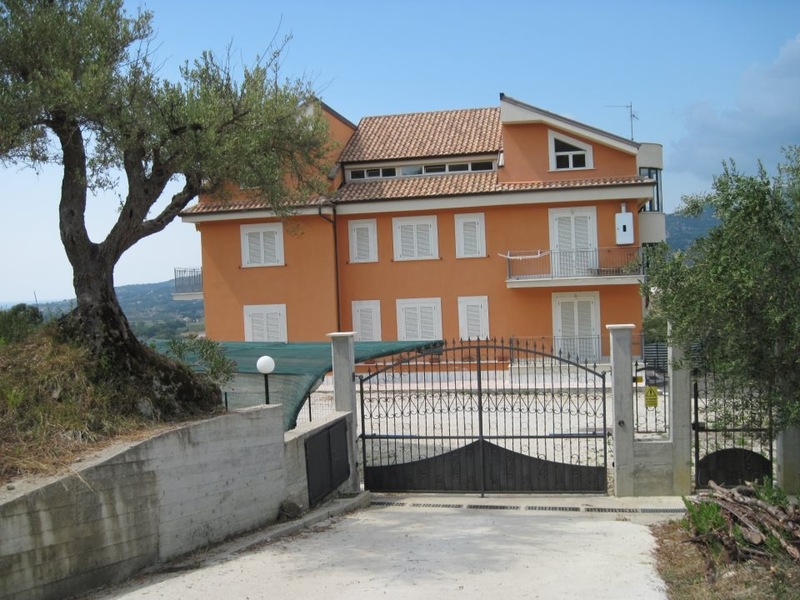 The realtor from Property Organisers, promptly replied that no, there was no time-share involved, but rather that price included outright ownership of this condo which was located high on a hill about 2 kilometers from the Mediterranean (actually the Tyrrhenian Sea there) with panoramic view of both the sea and layers of nearby mountains. WOW! We decided to continue this remote (both in distance and in possibility) dialogue with the realtor and received additional information including floor plans, interior pictures and GPS coordinates. We “Google Earthed” the general vicinity, and virtually traveled the nearby roads down to the ocean, but were unable to actually “find” the building through Google Earth and the view in the pictures we received did not seem to match the location of the coordinates. 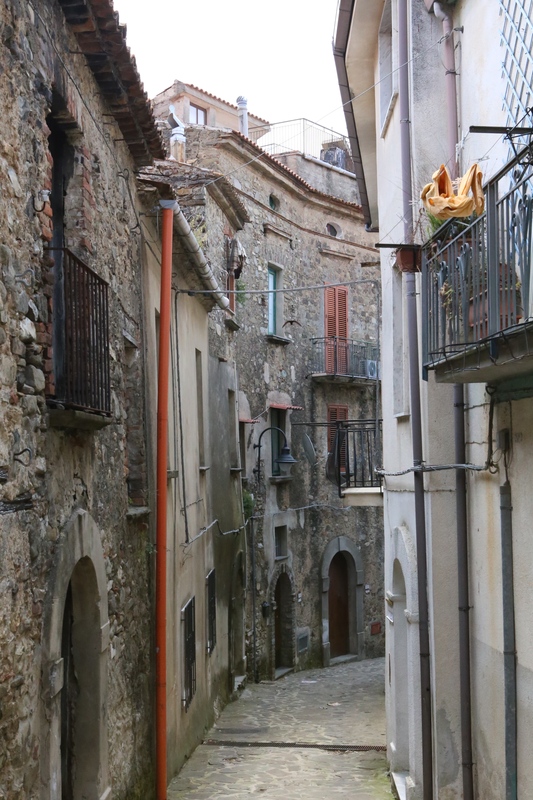 It seems that Casal Velino actually includes several nearby areas, some of which are interchangeably called other names, such as Velina, Castelnuovo Cilento and others including the original centro storico. 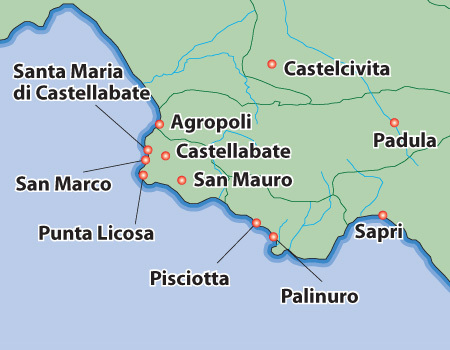 This entire area is located between the town of Marina di Casal Velino, a designated Blue Flag beach on the Tyrrhenian Sea and the Cilento National Park (the largest national park in Italy and a UNESCO World Heritage Site). 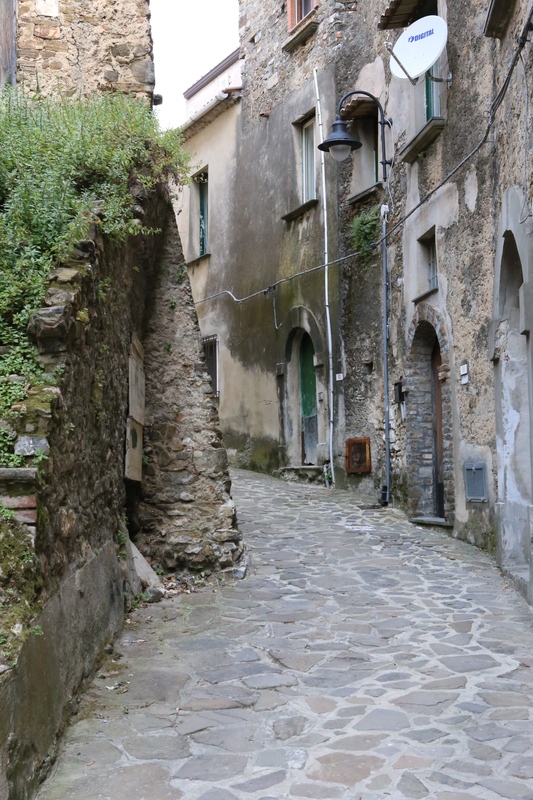 Additionally, the street on which the building was located, Contrada San Nicola, popped up in multiple nearby locations with at least two different roads in the area using this name. After receiving a new set of GPS coordinates, we were able to locate the exact building. During this time, we were also able to determine which condos were still available and which of these had the best view. Our favorite was the highest floor available that faced the sea. By now, our wedding and honeymoon were two months away. Our “innocent” inquiries took a sudden turn in the direction of seriousness when we decided to place a non-refundable deposit on this property that we did not intend to buy and scheduled settlement for two months later on the last day of our honeymoon. At 4:00 pm on that day (the day before we were to return to the States) we received the keys to our condo. The next morning we were on a plane back to the U.S. Our honeymoon might technically be over, but our apartment is the insurance policy that will provide many return adventures “happily ever after”! 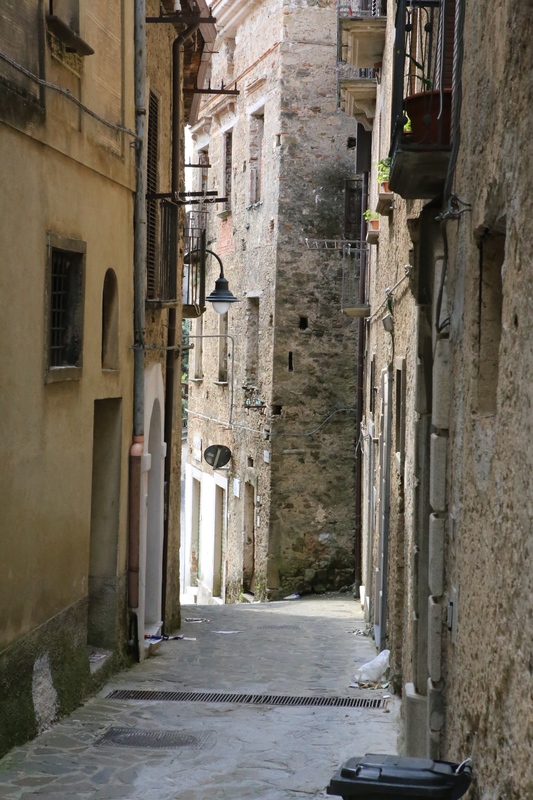 We were about to live our own Under the Tuscan Sun experience in Southern Italy. As we deal with heat waves all around the world, my thoughts are of Spring or Fall. Here in the North-East we have had very hot and muggy temperatures. In Velina, southern Italy, it has been hotter than anyone remembers. 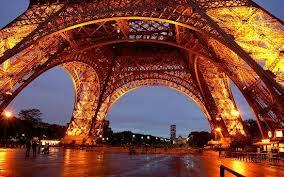 We were in Paris last Spring and at our house in Velina Italy in late August and early September. I can feel the sun and smell the beach at Casal Velino Marina, Italy. I am tired of the high heat! Bring on Europe in the Spring and fall. Where do you want to be now? We all survive by thinking of those happy moments in our lives. They energize us. Go out, plan and take a trip to someplace new. Create some new moments for yourself. You deserve it! Wherever you go, take time to relax, watch the locals, be romantic. Life is short. Enjoy it! 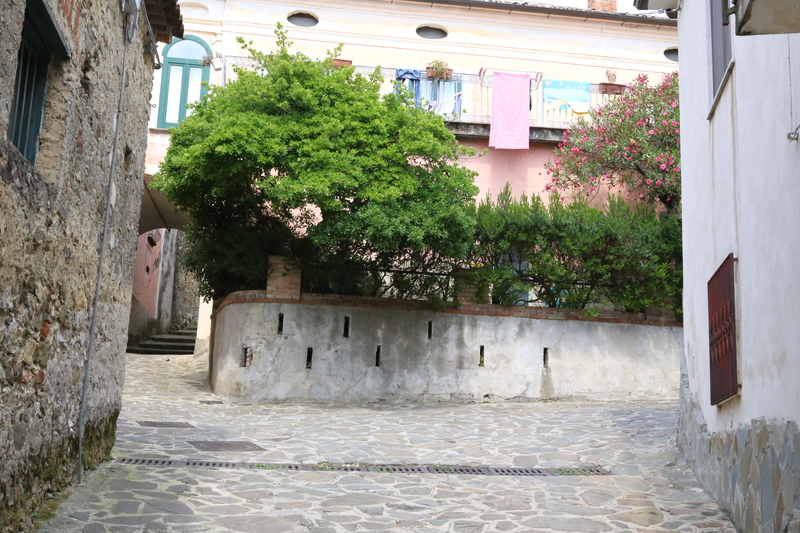 Casal Velino is the old fortified mountain town for Casal Velino Marina (the beach town). When pirates came the residents would light fires on towers along the shoreline to warn the next town. Very quickly a hundred miles could be warned. Residents of the marina would then flee with their possessions to their mountain town. Today Casal Velino Marina is a summer resort with great beaches but Casal Velino is a sleepy mountain town. This town is worth a stop and can easily be reached by car. There is parking in the town. In the parking lot is a bar. You can relax here inside or outside with a coffee, wine or beer and something to eat. From the main road, Via Roma which turns into Via Lippi, you can walk to an old church on off a small piazza. from here you can walk down into a residential area with gardens. You can go all the way down to Via Circumvallazione. 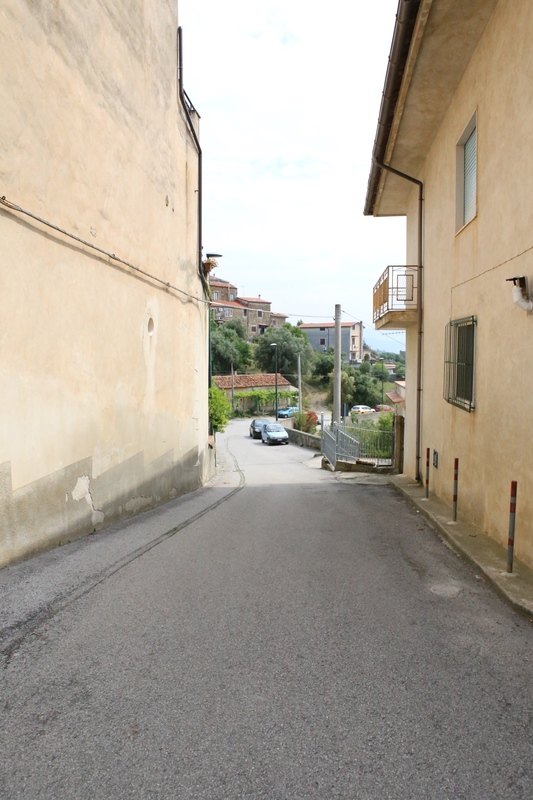 Turn left and it will bring you back up to Via Lippi. 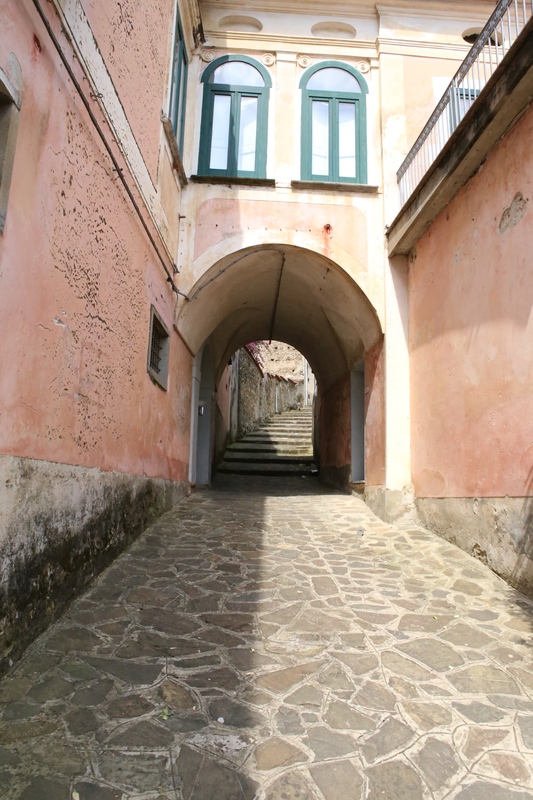 From the corner of Via Lippi and Piazza 23 Luglio there is a small street up a set of stairs called Via Giordano. 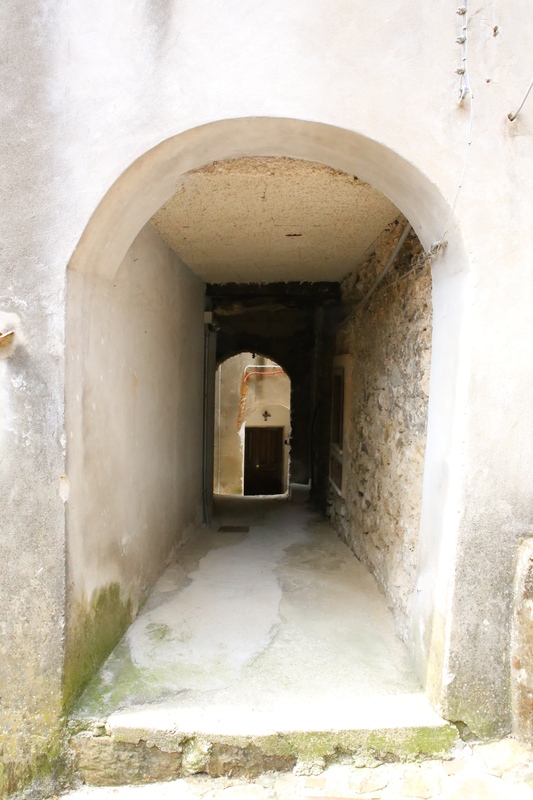 This leads you into an old area of this city. It is residential. The roads are very narrow. Some are pedestrian only and others can be driven on by small cars. You can follow this all the way to the end of town. We met older lady that lived here all her life. She was concerned that so many of her neighbors were selling their homes. As we walked along this ancient road, we thought about the old times and the current times. We met several residents. 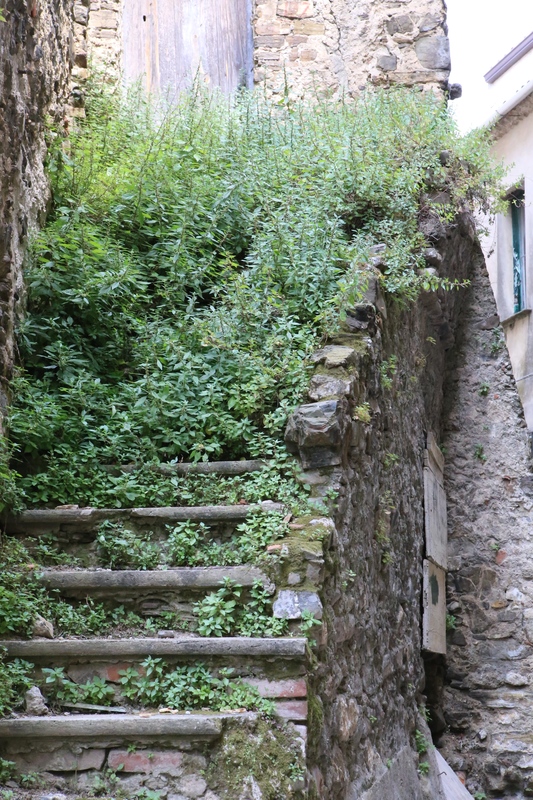 We saw an old structure with an old set of stairs that were overgrown with weeds and grass. This city will take you back in time. From the main road and parking area, there are wonderful views down to the sea and Casal Velino Marina. 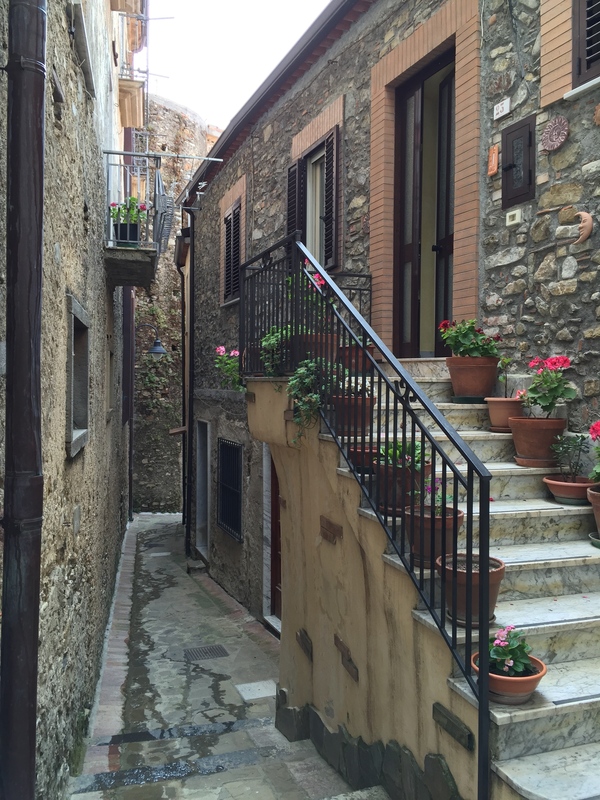 Tomorrow we will visit Castelnuovo Cilento, another small mountain town with its castle.